For the past several years, we've been able to bring many Toronto summer campers on industry field trips. It's an opportunity to have kids start to understand how their developing skills will help them in the future, particularly as life-long learners. To inspire them, we visit local leading technology companies to show our students potential exciting career options and coding in action. Our camp has been so successful that it's even been featured in Owl Magazine and Our Kids! Keep that in mind when you're hunting for the best summer camps in Toronto! Hatch has organized field trips to major companies like Mozilla, Google Canada, Ryerson DMZ, and SapientRazorfish. Much like our coding classes, our field trips are structured to provide a fun and educational experience. Accompanied by amazing Hatch coaches, our students enjoy a meet and greet with industry execs from the company and get to watch developers demonstrate how they use coding in their projects and work. Our campers also have the opportunity to showcase their coding projects to the company’s developers, which is a really amazing exchange to witness! We wrap up the visit with an office tour and a short Q&A session with the staff. We were impressed with SapientRazorfish, a firm that helps companies reimagine their business through radical customer-centricity. SapientRazorfish has more than 12,000 employees and 70 offices around the world. They specialize in growth and business model strategy, new product and service innovation, customer experience, enterprise digital transformation, IT modernization, omni-channel commerce, precision marketing, change management, digital operations, digital innovation, data strategy and advanced analytics. Our campers don’t just watch professionals in action, they get the chance to show off their own coding projects to the company’s developers. I have been extremely impressed with the skill level of the students, mentors, and instructors and believe that the students have benefitted greatly. 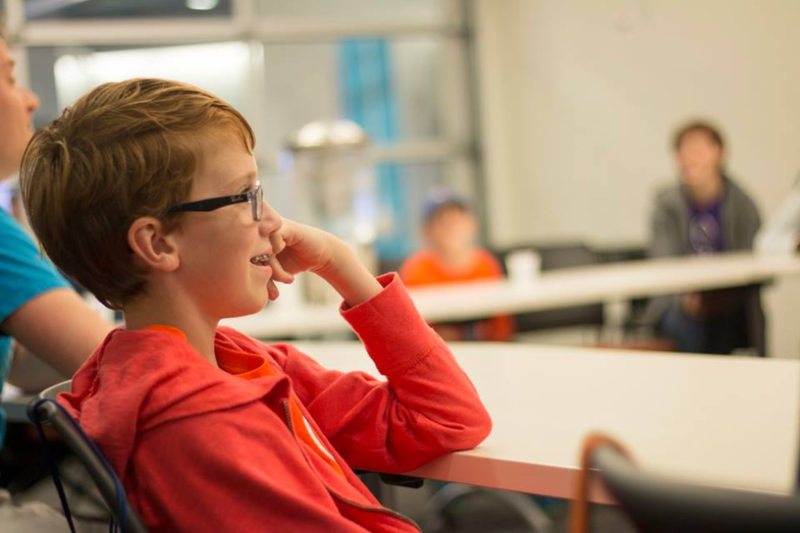 Introducing children of all ages to programming helps facilitate critical thinking, and I think programs like Hatch are a great way to help that along. Exposing children to programming early on is important, and exposing them to the environment it takes place in is just as important. It’s important to expose anyone interested in any sort of career to their typical work environment, to better prepare them and to set the expectation of what they’re working towards. We greatly appreciate supportive companies like SapientRazorfish, who put their busy day on hold to open their doors to Hatch students. These trips inspire Hatch kids to dream big and potentially pursue a career in the industry. Our partner companies are just as enthusiastic about Hatch because coding is becoming an increasingly essential skill for the next generation. They recognize the need to encourage today’s youth to obtain those skills. The support of companies like SapientRazorfish means so much to us. The inspiring developers at these companies use code to change the world every day, and we hope that the bright minds we train at Hatch will join them or others like them in the future. Want to get your child involved in the exciting world of coding and programming? It’s so simple to start. Read about our amazing camps today, and email us at hatch@hatchcanada.com with any questions!